Goldtouch Go 2 Mobile Ergonomic Keyboard! The Go!2 offers the same ergonomic comfort as the original Go! Keyboard with even greater mobile functionality. No longer will you have to choose between the convenience of working on a mobile device and the comfort of an ergonomic desktop keyboard. With the Goldtouch Go!2 Mobile Keyboard, you'll bring the best in ergonomic design with you wherever you go. Lightweight, slim and convenient. The Goldtouch Go!2 folds in half for easy storage in backpacks and laptop bags. Just slip this slim keyboard between your tablet and your wallet and work in the airport, on the train, or at your desk. The Goldtouch Go!2 Ergo Mobile Keyboard is as versatile as you are. The perfect fit. Just like all Goldtouch, products, the Go!2 Mobile Keyboard adjusts to you, not the other way around. Using the patented Goldtouch locking lever system, adjust a full 0" to 30" along the horizontal and vertical planes to find the position that's right for you. With scissor-switch technology, you'll experience the comfort of fluid, silent keystrokes and a full range of tactile feedback you simply can't get on flat glass screens. Plug and play technology. 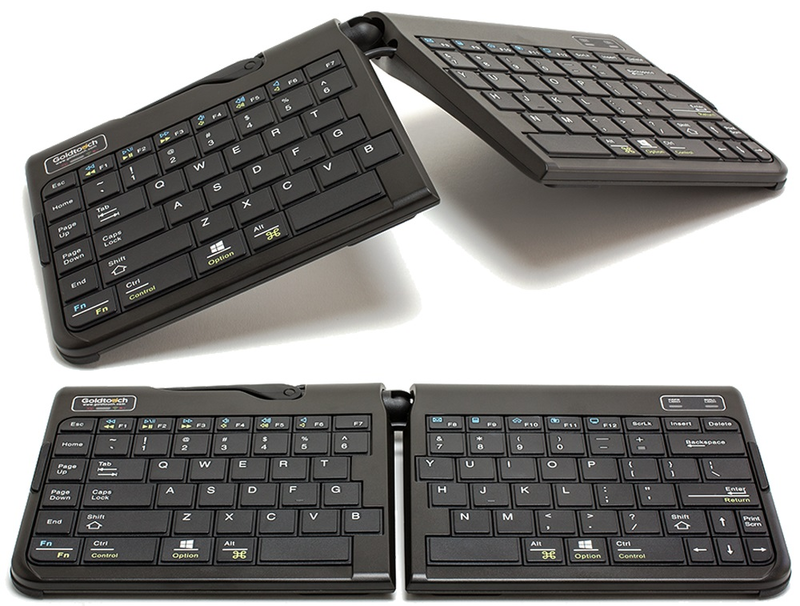 The Goldtouch Go!2 Ergo Mobile Keyboard syncs with a wide range of platforms, including Windows 8, 7 Vista and 2000 and Mac 10.4 and above. No driver installs necessary. A big win for businesses. A healthy business has healthy employees. 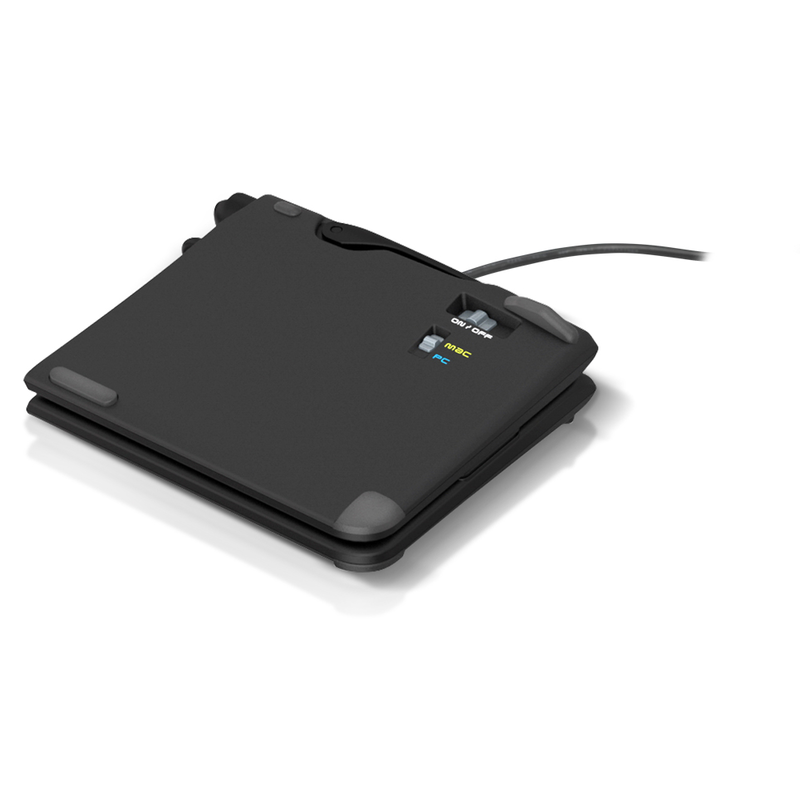 With the Goldtouch Go!2 Mobile Keyboard, reduce incidences of computer-related Repetitive Strain Injuries and the frequency and amount of workers compensation claims. Protect your employees while protecting your bottom line.